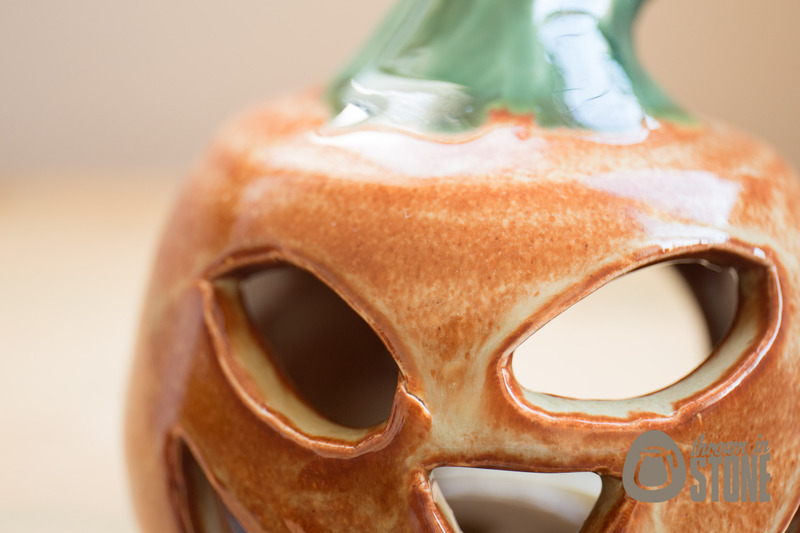 Look the part this Halloween with this Jack-o’-lantern/pumpkin tea light holder. 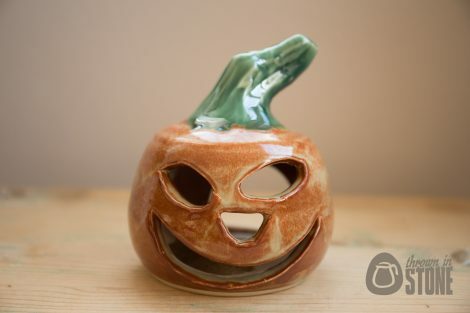 Hand thrown on my potters wheel using strong stoneware clay and altered after to have a cute but menacing grin. Glazed in orange and green. 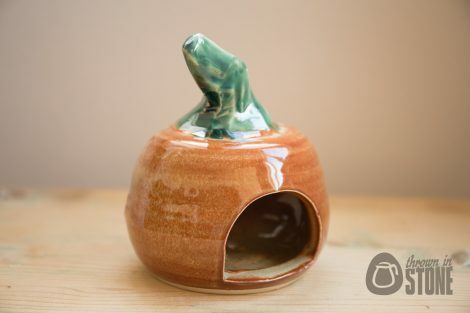 This lantern has an opening at the back to insert your candle. 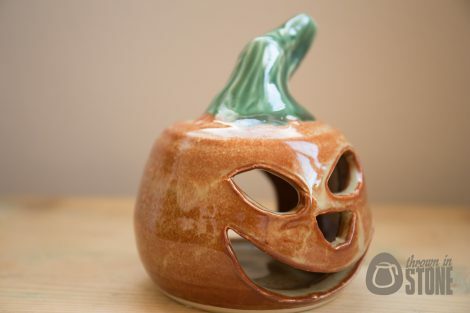 Perfect for halloween and will last years unlike the traditional natural pumpkin which will last only a few days. The lantern has been made on the heavy side so if you want to place it outside it will resist being blown over. All of my items will be packaged carefully as I’d hate for anything to get damaged in the mail; and of course I am more than happy to combine shipping.